You will never see an autoharp the same way again. 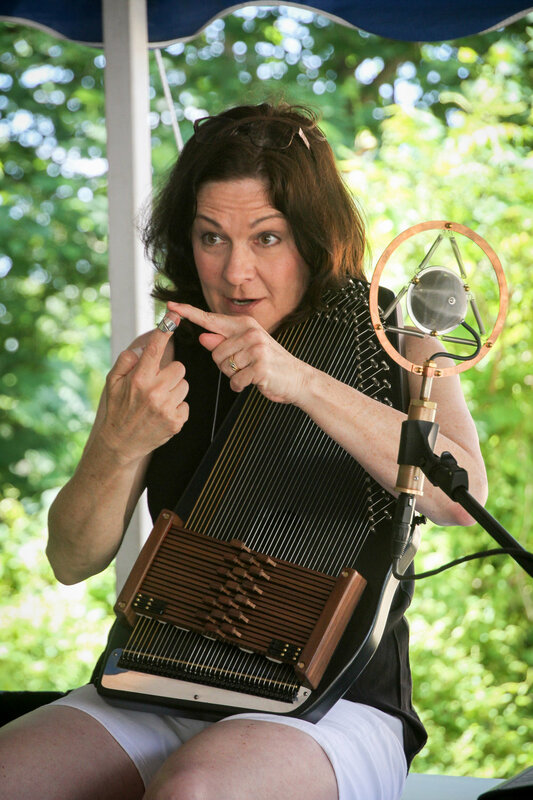 Jo Ann Smith is a three-time Autoharp Champion, having won the International Autoharp Championship in 1999 and again in 2013, as well as the Mountain Laurel Autoharp Championship in 2003. Jo Ann is well-known for her expertise with the diatonic autoharp. Her unique, melodic and expressive playing style has won her legions of followers on YouTube with over a million views to date. She performs regularly, both as a solo instrumentalist and as a lead member of local acoustic bands. Jo Ann is a passionate promoter of the autoharp, and uses her skills not only to enlighten but also to teach others about the untapped potential of this unique instrument. The autoharp is a zither-like instrument with a hollow body and 36-37 strings tuned to cover a dynamic range of approximately 2 1/2 octaves. A set of damping bars (chord bars) is mounted above the string bed and allows the player to selectively mute specific strings by applying pressure to a chord bar. The autoharp is held upright against the body of the player and is strummed or plucked with the right hand while the left hand is used to press down on a chord bar. This produces chords and notes with harp-like tones and a ringing, bell-like quality. The autoharp began its life as an early twentieth-century adaptation of the zither. While there is some debate as to its origin, it is generally accepted that Karl August Gutter of Germany developed the mechanism that most closely resembles today's autoharp. Charles F. Zimmerman is credited with promoting the instrument in the United States, where the autoharp became quite popular as a parlor instrument. In the decades that followed, the autoharp continued to gain popularity and has developed a large following of admirers and musicians who utilize the instrument in a variety of settings, from bluegrass to pop, folk, jazz and beyond. (2011) A collection of beautifully crafted instrumentals that are timeless, yet contemporary. Accompanied by local Tulsa artists on guitar, mandolin, violin, cello and more, this is an album you'll listen to again and again. (2004) From quiet, expressive ballads to lightning-fast fiddle tunes, champion autoharpist Jo Ann Smith demonstrates incredible mastery of the autoharp with her inspired arrangements. A tasteful blend of traditional tunes with guitar, mandolin and bass. Jo Ann is in the process of recording a new album of instrumental Christmas music to be released in time for the 2019 Holiday season. This video was taken during my performance at the 2018 Cambria Pickin’ in the Pines autoharp gathering. New to the autoharp? Need help improving your technique? Interested in learning to play a particular song? Thinking about going diatonic? 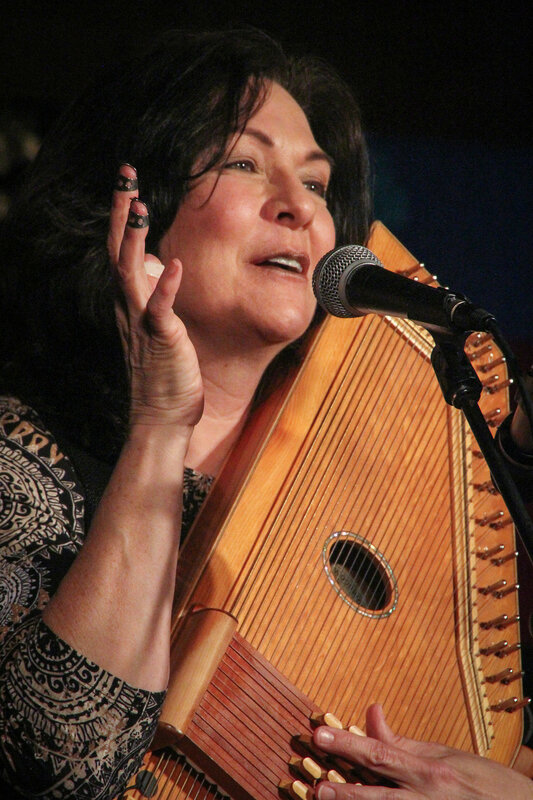 With three major Autoharp Championship titles and over 20 years of experience playing and teaching both chromatic and diatonic autoharps, Jo Ann can help you to reach your musical goals with lessons tailored to fit your personal needs. FIRST LESSON FREE! Read the descriptions to determine your experience level and click on the the corresponding appointment type to schedule a 50-minute video consultation. New Students, click REDEEM COUPON and use code FIRSTFREE to claim your first free lesson! So... you just got an autoharp and don't know where to start? Or you've had one for a while and just can't seem to do much with it? No problem! Jo Ann will go through everything you need to know, from tuning all those strings to finger pick selection to proper body mechanics. We will also go through basic playing techniques and address any problems with the instrument itself (and offer remedies). Whether you're a chromatic player wanting to take your playing to the next level or someone who's interested in exploring diatonic tuning, this is the choice for you. Jo Ann will help you identify issues in your playing technique that may be hindering your progress as well as options for tuning and chord arrangement that can make the autoharp a better fit for the music YOU want to play. (Diatonic Only) The diatonic autoharp requires a specialized set of skills to bring it (and the player) to full potential. Chord selection, layout, selective damping and noting techniques, chord progressions and creative tune arrangements are some of the topics Jo Ann can help you with. If you have a diatonic autoharp and want to refine your diatonic skills and repertoire, choose this option. The links below will take you to articles covering all sorts of autoharp-related topics that I have written over the years. All are based on my personal experience, and are designed to enlighten, educate and entertain. I hope you enjoy them. Check out my blog for even more info! Help, My autoharp won't stay in tune!